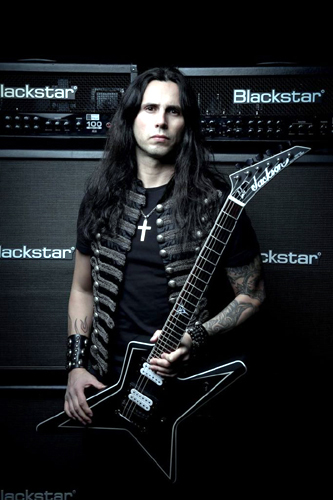 Gus G. (guitar player, Ozzy Osbourne and founder of Firewind) gave a super exclusive interview to Almir Figueiredo (Fanzmosis Ozzy Brazil) direct from Greece. 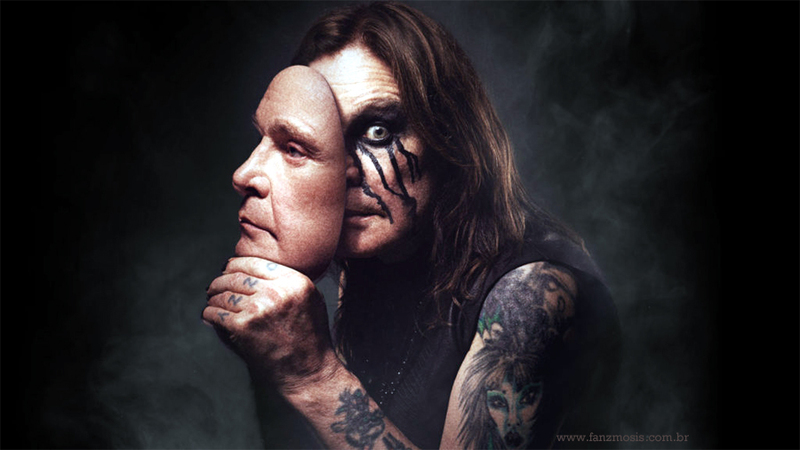 He told a bit about his life and career, Ozzy Osbourne, solo career, and talked about the impression he had about Brazil. In March 2018 he returns to Brazil on tour, this time with his band Firewind. 1 - What has changed for you since 1998 after your "Nocturnal Symphony" demo? Gus - Everything has changed of course! I have had a career I couldn't even dream of! But my love for music hasn't changed for sure, IM still as passionate if not more, as I was back then. 2 - How it is to be considered one of the greatest guitarists of our time? Gus - I don't know, am I?? It's always flattering to get nice compliments from fans or press, it's rewarding for the hard work, blood, sweat & tears you put into this. I just hope people are enjoying the music & the shows, without their support, there's no reason to go out there & do this. 3 - With two solo albums, you're currently on a successful tour that covered part of Europe and now North America releasing your latest album "Brand New Revolution". What made you go on a solo career? Gus - Back in 2013 I just needed a break from Firewind after our singer quit. I was fed up with it all and needed to branch out and write with different people, thats why I did my solo album and had various guests on. I wanted to do a "Santana" type of album with many talented musicians, some famous, some not so famous, it didn't matter. It was something I had to do for myself for once. I was surprised by the feedback and soon enough I was getting tour offers. So it grew from there. 4 - You have participated in several projects in partnership with renowned musicians and bands, being the most recent the Gunslingers Tour in the USA. What's it like to be on the road next to rock icons like Vinnie Moore? Gus - Vinnie is one of my childhood guitar heroes, it was amazing to tour the US with him, learned a lot playing with him every night! 5 - At shows and in the studio what equipment do you most like to use? Gus - It's pretty much the same setup. My Jackson signature guitars, thru my Blackstar Blackfire 200 signature amps. In the studio I don't use any pedals, but on stage I have a small pedalboard with a delay, a wah pedal & a chorus. Thats it. 6 - About Firewind, unlike the other albums, "Immortals" released in 2017, is the band's first conceptual work. What has changed? Gus - It was the first time we decided to try and make a concept album and it worked out really well. It's also the first album to feature our new singer, Henning Base. 7 - What is the story behind this album? Gus - It's about a chapter of Greek history and more specifically about the legendary battles of Thermopylae w/ King Leonidas & his 300 Spartans facing what is believed to have been hundreds of thousands of Persians & the navy battle of Salamis. 8 - What was the importance of Denis Ward in the making of this album? Gus - Dennis had an important role. Besides mixing & engineering the album, he co-wrote all songs with me, as I did all the music and he did all lyrics & vocal melodies. 9- What are your favorite songs (both solo and Firewind) to play and listen to? 10 - Could you advance how will be the new studio album of Firewind, which will be released in April 2018? Gus - Actually it's a solo album, not a Firewind album. My new solo CD is coming out in April and can't say too much about it yet, but Dennis Ward will be handling vocals and bass. It's an evolution from my first 2 albums, I'm really excited about it! 11. 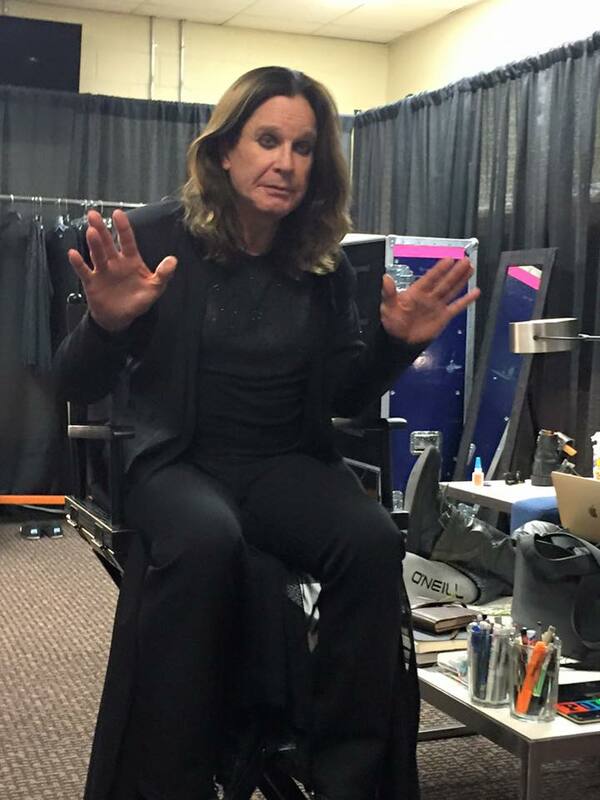 You've been to Brazil twice (2011 and 2015) with Ozzy. What moments were most remarkable? What about Brazilian fans? Gus - Both times were some of the best tours of my life. Especially the first one, I didn't know what to expect. I had heard the rumours about the fans down there being so great but I was blown away. Both South American tours we did with Ozzy remain some of my personal favourites & highlights during my time in his band! 12 - On your first performance with Ozzy in 2011, you came on stage and played incredibly, conquering Brazilian fans. How it was to be on stage in Brazil? Gus - That's nice to hear. I didn't know what to expect, I just tried to do the best I could considering I was filling some really big shoes of the past guitarists in Ozzy's band. I didn't know how people would react but all the fans really embraced me. Thanks for that! 13 - How was it for you to be on stage alongside Adam Wakeman, Blasko, Tommy Clufetos and Ozzy Osbourne in Scream tour in Brazil? Gus - It was amazing. I learned a lot playing with those guys. I had to step up my game, this was the real deal, it wasn't some bar band. These are some of the best musicians in the world and we're playing arenas every night with the Prince of Darkness. Every show was huge and every moment counted. So, I took it seriously and gave it all I had. 14 - In March 2018 you return to Brazil on tour, this time with your band Firewind. Could you introduce the band and anticipate what this tour will be like in our country? Gus - Henning Basse on vocals, Petros Christo on bass, Bob Katsionis on keyboards & guitar, Johan Nunez on drums and myself. We're all very excited about coming to Brazil and rest of Latin America, it's been long overdue. We're gonna play songs from all our career, and it's gonna be loud and of high energy! 15 - What should we expect from you in the near future? Gus - More heavy metal of course! 16 - Would you like to leave a message to the Brazilian fans? Gus - I wanna thank all our fans for waiting for Firewind all these years, Im really excited to finally bring the band down there. Also, many thanks to you and all Ozzy fans for the love & support! God bless, obrigado!